How Adwords improve your Company’s marketing? With the exponential growth of web pages, Google has set a standard in searching for relevant content without having to visit them all. Of Course, this ‘merit based’ approach was challenged by the mere number of options, and AdWords was born: a way to ‘pay’ so your content was shown first. -. Hyper-segmentation is possible, with parameters such as interests, specific prior behavior, etc. -. Not only you target a very defined audience, you only pay as much as you are willing to invest per lead, and only when such lead interacts with your ad via a click, etc. -. You can’t manage what you can’t measure. Analytics is the basis of AdWords. You can record the effectiveness, ROI and overall value of your Ad, plus you can adjust it dynamically to optimize the investment. 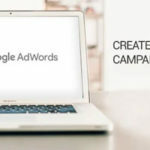 Virtually Present believes AdWords is a tool that correctly used can drive traffic to your website and interested customers to research, consider and ultimately buy your products. Either invest some time understanding the principles that govern AdWords, or invest in a firm that can manage this process for you. We are here to help. From her Electronic Systems Engineer degree to her solid 20+ year Marketing background with big names such as P&G and FedEx, Monique has developed the personality to be the strong strategic mind behind Virtually Present. In order to be effective, Monique sinks herself deep into geeky and nerdy stuff like keywords and search queries, to understand positioning and website traffic among other key indicators. Determined and smart, she develops a vision for each client's challenge and works with her team to deliver outstanding results.